How Does a Patient Evaluate Clean? Patients evaluate cleanliness on what they understand and given that most patients do not have knowledge of infection prevention processes, they usually depend on what is readily available to them: our senses. 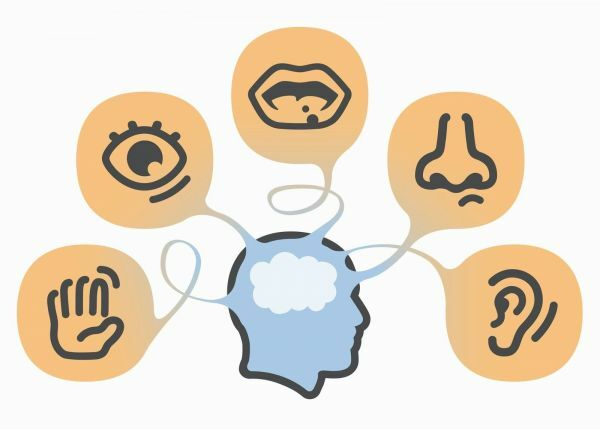 We have five basic senses: touch, sight, sound, smell and taste. The sensing organs associated with each sense sends information to the brain to help us understand and perceive the world around us. In the case of perceiving cleanliness, all but taste are used in developing a patient’s evaluation of clean. Touch is thought to be the first sense that humans develop, according to the Stanford Encyclopedia of Philosophy. The organ for the human sense of touch is the skin; it is the largest sense organ and unlike others, it is not located at any specific place but the entire body. You can close your eyes and imagine what is it like to be blind, and you can cover your ears and imagine what is it like to be deaf, but you can’t turn off touch. Touch tells you if something is hot or cold, rough or smooth, heavy or light, sharp or blunt, wet or dry. So how does that translate into cleanliness? Everything a patient touches in their hospital room and during their stay will trigger emotions and feelings. When you touch something wet do you think warm cozy thoughts? What about something rough or textured? When you think of being comfortable is that on soft fluffy pillows and blankets or on a hard cold surface? It is important we understand sense of touch and the emotions certain touches trigger. EVS has an opportunity to ensure surfaces are smooth and dry, that linens are free of rip free and soft to the touch, and that bed mattresses are in good repair. Strong EVS leaders seek out and recommend paper products that are not only cost effective but soft to the touch and nursing also can impact what patients feel through ensuring they are dry and at a comfortable temperature. Through a patient’s eyes is a common phrase often heard when speaking of patient satisfaction. The sense of sight is the easiest for one to understand, but is everyone looking from a patient’s vantage point? Or even the vantage point of a visitor? A patient lying in a bed looks up to the vents, across to the side of a bedside table and when they step out of bed, directly down to the floor. A seated visitor is often looking directly under the bed. Do these areas look clean or dirty? Are they free from visible dust and debris? Raising the level of scrutiny, items may be clean however items may be perceived as dirty due to wear. . For example, furniture that is stained, torn, or broken will be perceived as not clean. And perhaps most commonly associated with clean is clutter. Are there linens on the floor or laying out in site in the room? Has a meal tray been left in the room? These visual cues can negatively impact patient perception of clean; however other cues reinforce clean. EVS can provide these by v-tipping toilet paper, ensuring trash cans are empty and most obviously by carrying out daily cleaning in plain sight of the patient, preferably at as high a frequency as is reasonable. Sound has a powerful effect on us. Hearing is your primary warning sense, a sudden sound will start a process. It releases cortisol, it increases your heart rate, changes your breathing. This occurs because we have been programmed to assume that any sudden or unexplained sound is a threat. It changes our emotions and moods. Can you think of a song that makes you happy? Sad? Powerful? What about relaxed? Sounds of nature, birds singing, ocean waves, and rain falling all are sounds that help us feel relaxed and reassured. Now think of the sounds you hear in a hospital, conversations, equipment beeping, construction, all while you are in a room, unable to see exactly what is causing the sound. When patients are relaxed and comfortable it aids in the healing process and also makes them perceive that they are in a clean, safe, comfortable environment. It is important to reduce unknown, unpleasant, abrupt noises and loud sounds. Smell is the most sensitive of the senses. People can remember smells with 65% accuracy after a year, while visual recall is about 50% after three months. Studies show that 75% of emotions are triggered by smell which is linked to pleasure, well-being, emotion and memory. The emotions we feel affect the way we relate to places and brands. Have you ever come across a scent of something that instantly takes you back to an old memory? Whether it reminds you of your mother’s cooking or a childhood trip to the ocean, a distinctive scent sinks into your brain and stays there. Creating a comfortable and relaxing atmosphere for patients is a challenge for every healthcare facility, be it large or small. For example, lavender fragrances have been used in nursing homes to calm residents and emergency rooms to calm worried visitors. Hospitals, treatment centers and nursing homes are prone to musky smells and malodors and yet these health organizations host patients that are often sensitive to perfumes. It is worthwhile that facilities think strategically on a scenting solution to include selecting cleaning chemicals that can be associated with clean and not so intrusive as to cause discomfort.